Got Trees? Hire an Expert! Landscaping and hardscaping make outdoor space look beautiful, but they do require regular maintenance to keep them healthy. Healthy trees and plants not only look more attractive, they are safer. Sick or damaged trees pose a threat to your home, business, commercial property, and individuals within the vicinities of each of these. This is one reason why it is important to hire a professional to care for your trees. Why Hire a Certified Professional? Arborists are professionals who have trained in the science and art of maintaining, caring for, and planting trees. Certified Arborists are professionals who have studied in the industry and have experience in maintaining and advising accordingly. Hutcheson Horticultural Company has been in business since 1988 and has a proud history of quality and service in the metro-Atlanta area. Founder and President, Mark Hutcheson, has a degree in horticulture from the University of Georgia and has expert experience in landscape management. Matt Mathews, Vice-President, is a Registered Landscape Architect and has been in the industry for over a quarter of a century. Hutcheson also employs several other Landscape Architects, a Georgia Certified Arborist and various other certified landscape professionals. What Can a Certified Arborist and Landscaping Professionals Do For You? Planting – An arborist can help you plant trees, shrubs, and bushes. They can also help you select the best species for your area. Emergency Care – An arborist can perform emergency tree care in the form of pruning and trimming in a safe way and help reduce the potential of damage to you and your home or business. Health Care – Certified arborists and landscaping professionals provide you with preventative maintenance tips for your trees and other greenery to stave off disease, insects, or other problems. Other Services – Certified professionals can also offer bracing, cabling, consulting, and risk assessment services. Hutcheson Horticultural Company has teams of landscaping professionals that specialize in maintenance, installation, and design. 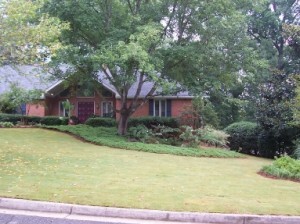 Contact our North Georgia landscaping company for the expert care you deserve.